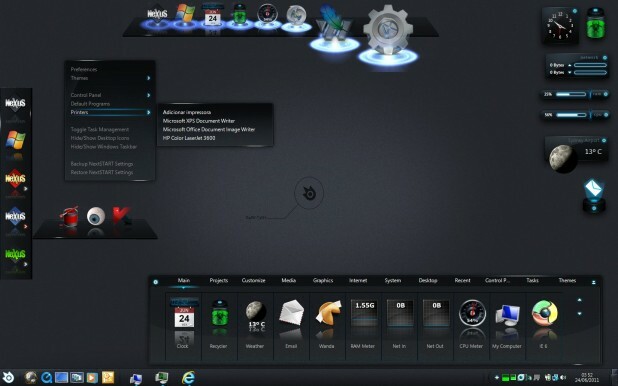 Winstep Nexus is a highly configurable dock system that creates an eye-candy launcher on the desktop to start your favorites apps on the go. 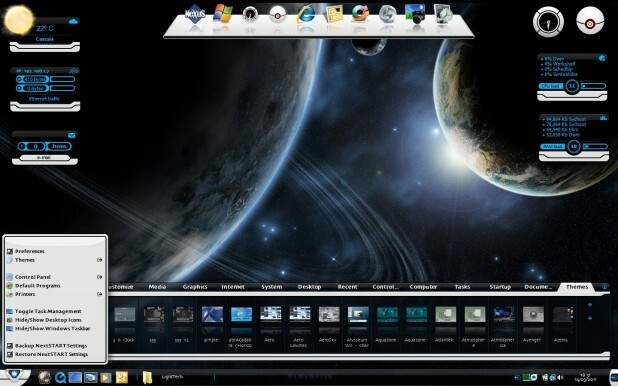 Similar to Mac OS X docks, Winstep Nexus lets you add any icon or shortcut on the bar, but it also provides a great amount of customization features. Thanks to support for modules, you can add mini tools such as CPU and network monitors, clocks, weather information and Recycle Bin controllers. On the other hand, it also supports separators for better organization, but also internal Windows commands to easily perform a command supported by the operating system with a single click. You can for instance start Flip 3D, start screensaver, show volume control, access fonts or enter Control Panel using dedicated icons on the dock. But what's more impressive is the customization level it provides. You can change basically every single aspect of the dock, starting with the look, thanks to theme support, and ending with reflection and sounds. Plus, it has a long list of magnification and mouse over effects, so it's all up to the user and his or her preferences. Last but not least, Winstep Nexus comes with running indicators to let you know which programs are running, but also with multi-monitor support to use the tool on multiple monitors. Documents benefit from automatic thumbnails, while each module comes with its very own configuration screen. Although it's supposed to run in the background all the time, Winstep Nexus is far from becoming a resource hog, working just fine on all Windows versions. All things considered, Winstep Nexus is one of the best tools of its kind, offering an impressive list of features and tons of configuration options.